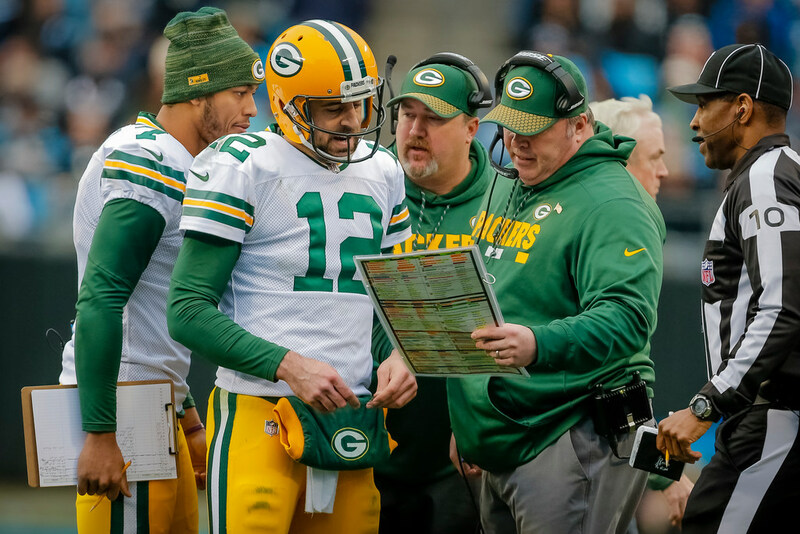 NFL Network wonders: Can the Packers, if healthy, go 16-0? The caveat for the question is that quarterback Aaron Rodgers needs to stay healthy. But how much else do the Packers have going for them beyond an excellent quarterback? *Former Packers wide receiver James Jones and former Jaguars running back Maurice Jones-Drew were on NFL Network recently, and they got the ball rolling on this fairly ridiculous question: Can the Packers, if Aaron Rodgers is healthy, go 16-0 this year? I mean, sure. Technically any team could run the table in any given season. It’s only happened twice in NFL history — and only once with a 16-0 team, and that was more than a decade ago. And sure, a healthy Rodgers obviously makes a big difference on their team. But … clears throat … outside of Rodgers, are the Packers really even a good team? (No). Can he fully compensate for what was the 26th-ranked scoring defense in the NFL last year? (No). Is there much reason to believe the offensive line will be better this year? (No). Have the Packers, even when Rodgers was healthy and even when they had better defenses, even approached a 16-0 season in the last six years? (No, the closest they got was 12-4, which is not close). Here’s the thing: With Rodgers healthy, the Vikings and Packers are co-favorites in the NFC North. It will probably take 11 (maybe 12) wins to claim the division. But neither is running the table. Not even close. And if I had to bet on one over the other, it would be the Vikings. *The Twins gained another game on Cleveland and now sit 7.5 games back with three games until the break. The Twins have three left against Tampa Bay — a 48-45 team that has maybe overachieved a little to this point. Cleveland has three more games against the Yankees, one of baseball’s best teams. Let’s say the Twins win two of the next three and Cleveland loses two of the next three, and Minnesota sits at 6.5 back at the break. Does that change anything about buying and selling? I’m not sure it does, but maybe it postpones moves at least. *Can Tim Tebow actually make it to the majors? The Sporting News makes the argument that what many of us doubted might actually come true someday.